Based on interviews with authors over the years, conferences, editing dozens of issues of Writer’s Digest, and my own occasional literary forays and flails, here are some points of consensus and observations: 15 of them, things anyone who lives by the pen (or seeks to) might consider. It is, like most things in the writing world, a list in progress—and if you’ve got your own Dos or Don’ts to add, I’d love to hear them in the Comments. 1. Don’t assume there is any single path or playbook writers need to follow. (Or, for that matter, a definitive superlative list of Dos and Don’ts …) Simply put: You have to do what works best for you. Listen to the voices in your head, and learn to train and trust them. More often than not, they’ll let you know if you’re on the right path. People often bemoan the surplus of contradictory advice in the writing world—but it’s there because there really is no yellow-brick road, and a diversity of perspectives allows you to cherry-pick what uniquely suits you and your abilities. 3. Don’t get too swept up in debates about outlining/not outlining, whether or not you should write what you know, whether or not you should edit as you go along or at the end—again, just experiment and do what works best for you. The freedom that comes with embracing this approach is downright cathartic. 4. Don’t put all your eggs in one basket when it comes to pitching something—always be working on your next book or idea while you’re querying. Keeping your creative side in gear while focusing on the business of selling your work prevents bigger stalls in your writing life down the road. 5. Don’t be unnecessarily dishonest, rude, hostile—people in the publishing industry talk, and word spreads about who’s great to work with, and who’s not. Publishing is a big business, but it’s a pretty incestuous business. Keep those family reunions gossip free. 6. Don’t ever hate someone for the feedback they give you. No piece of writing is universally beloved. Nearly every beta reader, editor or agent will have a different opinion of your work, and there’s value in that. Accept what nuggets you believe are valid, recognize the recurring issues you might want/need to address, and toss the edits your gut tells to toss. (Unless the changes are mandatory for a deal—in which case you’ll need to do some deeper soul searching.) Be open to criticism—it will make you a better writer. 7. … But, don’t be susceptible to the barbs of online trolls—you know, those people who post sociopathic comments for the sake of posting sociopathic comments. That’s what trolls do: they troll (on Amazon, Goodreads, Twitter, etc.). It’s not personal. Which means the message at the core of their words means as little as the 0s and 1s used to code it. Ignore them heartily. 8. Don’t ever lower you guard when it comes to the basics: Good spelling, healthy mechanics, sound grammar. They are the foundations that keep our writing houses from imploding … and our queries from hitting the recycling bin before our stories can speak for themselves. 9. Don’t ever write something in an attempt to satisfy a market trend and make a quick buck. By the time such a book is ready to go, the trend will likely have passed. The astronomical amount of romantic teenage vampire novels in desk drawers is more than a nuisance—it’s a wildfire hazard. Write the story that gives you insomnia. 11. Don’t ever assume it’s easy. Writers with one book on shelves or one story in print often had to keep stacking up unpublished manuscripts until they could reach the publisher’s doorbell. 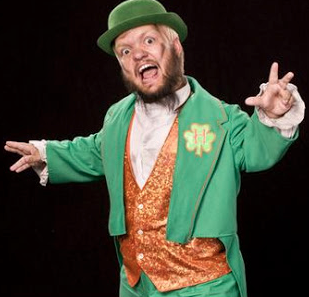 (The exception being those lucky 19-year-old savants you sometimes hear about, or, say, Snooki. But, hey, success still isn’t guaranteed—after all, Snooki’s Gorilla Beach: A Novel has only sold 3,445 copies.) Success is one of those things that’s often damn near impossible to accurately predict unless you already have it in spades. 12. Don’t forget to get out once in a while. Writing is a reflection of real life. It’s all too easy to sit too long at that desk and forget to live it. 13. Don’t ever discount the sheer teaching power (and therapeutic goodness) of a great read. The makeshift MFA program of countless writers has been a well-stocked bookshelf. Stench Radio Magazine is up and running! Take a look at the new punk rock magazine directly from Austin, TX! It features punk rock interviews and reviews, and also has horror stories from me! In the upcoming months, Will Glover and Tim Miller will also feature their stories. Thanks for taking a look-see! Everyone, please be safe if you go out tonight! I’m proud to announce that I am officially part of a publishing company called Madwriter Press! I will be posting my first story to be published by this wonderful company in a few days, and I hope you enjoy it! Support Indie Horror! Get D.S. Ullery’s new story! My good friend D.S. 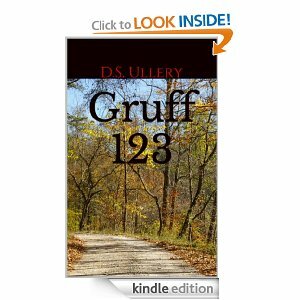 Ullery has self-published his short story, Gruff 123. This is his first time self publishing, even though he’s been a writer for many years. So, c’mon and jump on the bandwagon! Buy his story for only 99 cents at Amazon! All the cool kids are doing it. As he finished his wine, she reached out her hand for his glass. “Want some more?” she asked coyly. “I don’t think so. I’m starting….to feel a little….dizzy.” Stephen’s head began to shift side to side, and his eyes began to droop. “One more wouldn’t hurt.” She studied his expression. He tried looking around, but his head rocked back and forth. “No. I sh-sh-shouldn’t.” She watched him moving in and out of reality. Stephen’s eyesight went from dark to light to dark again. He couldn’t fixate his gaze. Melissa sat up straight and let out a sigh. “It’s the rohypnol, darling. I can’t have you awake. Not for what I’m about to do to you.” She brushed his dangling hair from his eyes and then gazed out into the living room with a dreamy-eyed smile. “You were perfect. No friends, just moved here, slowly moving up in the world. A real catch. I would’ve been crazy to let you get away from me.” She looked over and noticed he was trying to say something. She leaned in closer to his mouth, and he only had the strength to utter one word. Stephen dropped the glass on the floor, and his grasp on reality was forever gone. She leaned in and observed him to make sure he was completely out. “Helloooo? Anybody home?” She snapped her fingers in front of his face. Nothing. She gave him a small kiss on the cheek, picked up his glass, and went to the kitchen to clean up the leftovers. Even through his unconsciousness, she carried on her conversation. The second Susan walked through the front door of her house at 7 a.m., she felt a shift in the normally pleasant atmosphere of her middle class neighborhood. The sky was a hazy gray with just a few slight speckles of rain painting the ground. With her pink bunny slippers slapping the wet pavement and still wearing a robe over her red plaid pajamas, she sluggishly walked to the edge of her yard and assessed the neighborhood. Children were already out playing, riding bicycles and throwing footballs in the street. Susan bent down to grab the end of the plastic covering of her newspaper. As she stood up to stretch out the night through her arms, she noticed her 9-year-old neighbor, Becky, across the street standing in her driveway. Becky was a pretentious little girl and always with a sunny disposition. She was a neighborhood favorite with her willingness to volunteer her precious playtime to help carry in groceries or entertain bystanders with idle chit chat. Apart from discussing trivial fourth-grade affairs, Becky enjoyed talking about her brother, who was a regular topic of discussion in every conversation. Her brother, Dylan, was born just 4 months earlier, and with an ever-watchful eye she looked over him like a mother hen. It was obvious to anyone first meeting her that she earnestly loved and admired her brother. A rather outdoorsy child, Becky was consistently running and cavorting with the other children. However, today was different. Susan noticed Becky wasn’t moving. Her body stood stiff, motionless, and with a wide-eyed stare. “Good morning, Becky.” Susan called across the street. Still, Becky remained without a glimpse of movement and without a sound. “Becky. Are you okay?” Susan became a little unsettled. With a slow and cautious gait, Susan moved across the slippery road and reached the edge of Becky’s driveway. “Becky. Did you hear me?” Again, no movement, no sound. Becky stood solid, her feet planted firmly together and arms at her sides like a fresh-out-of-boot-camp recruit. She was clutching a dusty, pink purse tightly in her right fist. Susan wasn’t sure of how to handle Becky’s lack of verbal response, so she tried a more cordial approach. “That’s a pretty bag you have there. Where did you get it?” Susan asked in anticipation, hoping for a blink, a glimpse in her direction, something. However, Becky maintained her stance. Susan walked over closer to Becky and poised herself a few feet from her. She tried again by bending down and meeting Becky eye to eye with an affectionate smile. “Can you show me what you keep in that bag? I bet there are lots of neat stuff like lip gloss and toys. Maybe a My Little Pony?” Still, nothing. Susan’s facial expression turned uneasy as she slightly cocked her head to the side. “She’s been like that for a long time,” Jeremy, a neighbor boy, called from behind Susan. She stood up and looked behind her right shoulder at Jeremy. Jeremy shrugged his shoulders. “I dunno. We tried to get her to play, but she just stands like that.” Jeremy turned around and ran towards the other children in the street and joined the group. When Susan turned around to face Becky, she was caught off guard to find her gazing up and looking straight at her. Becky’s face held a calm yet mysterious look, robotic and without emotion. This isn’t like Becky, Susan thought. Becky blinked, and her stoic gaze softened. With a delicate voice, she began to speak. “Well, yes, Becky. I’d like that.” Susan stayed wary. She wasn’t used to seeing Becky act this way, and she didn’t know if she should alert her mother and father of her odd behavior. While Susan was deliberating the responsible step of action, Becky slowly bent her head down and with her left hand reached over to the bag and unzipped the top zipper. With a smooth execution, Becky pulled apart the sides of the purse and reached out her arms to expose the contents. Susan peered into the bag. She couldn’t quite discern exactly what she saw, but it looked like a rounded ball of white cloth splotched with red paint. “I got bored taking off my doll heads. Those were just practice anyway.” Becky answered. While keeping her head straight, Becky shifted her eyes up to the eyelids and to the right where Susan was standing. The corners of her lips turned upward in a deviant grin. She gave her response in a breezy whisper. At that moment, Susan could hear muffled movement inside of Becky’s house. The front door swung open, and Becky’s mother, Anne, rushed outside holding a bundled blanket with the same red-colored paint that was in the pink bag. With tears streaming down Anne’s face, she began to scream hysterically and fell to the soggy ground. “Who did this?! Who in the hell did THIS? !” Anne yelled out in the damp air. A piece of the blanket fell, and cradled in her arms was a headless body of a small infant dressed in onesie pajamas. Blood was slowly spilling from the stump onto Anne’s elbow, and the lifeless limbs were swaying with her every move. Susan immediately turned white, and an icy fear washed over her. She glanced over at the pink bag and then at Becky, who sustained the devilish grin. With a look of horror and disbelief, she could barely get the words out of her mouth. Tears began to well up in Susan’s eyes. With small steps, she began to back away from the driveway, and she could hear sirens moving closer in the distance. Hey, look! It’s Violet down there! Things you should REALLY check out. Really. Put in your email addy to follow me and get new posts via email. It'll be quick and painless. I promise.